The following is the narrative combined with the graphics for a presentation I (John Griffin) (jagriffin46@gmail.com) gave to The Villages Philosophy Club on April 12, 2019. I chose today’s topic because, for me, thinking about the future is simply a lot of fun. And today more exciting things are happening in science and technology than ever before, and I believe those things will change the world in ways that will surprise many people. I also believe that with the right policy decisions the future can work for all of us. I will be disappointed if everyone in the room does not leave here today with at least one (and, hopefully, several) interesting ideas that they had not previously considered. Of course, the future is essentially limitless – involving countless years and countless possibilities. So, to maintain focus I am going to limit this presentation to the remainder of this century, and mostly to the next 50 years. Within that time frame I will mainly talk about our future economy, environment, and social structures. That should be more than enough to fill my allotted time. Hopefully, I won’t run over too much, but, if you are anything like me, you won’t be bored. And, of course, those subjects contain enough controversial political and policy issues to support a vigorous discussion. One subject I don’t plan to dwell on is The Singularity. The Singularity is that time or event in which machine intelligence has advanced well beyond the human level, and is then capable of creating technologies that may well be beyond human comprehension. And that is the simple reason I won’t go there. If the singularity occurs, and it just might (and possibly before the end of this century), then we can only guess at the consequences. So let’s get started with the first part of any Optimistic Future – The Economy. Producing all of the things that people need and want is crucial to the well-being of any society, so let’s examine the three fundamental components of a successful economy. Item #3 typically refers to us – the labor force. We have the intelligence and the manipulators (i.e. our hands) that enable us to bring the Energy and the Raw Materials together for processing. In other words, Intelligence + Manipulators = Labor. At this point I will directly state, the one idea that I consider crucial to any discussion of our future economy. If you leave here today with just one idea, let it be this one. Well before the end of this century we will be mass-producing skilled labor. Your first reaction may be: “Wait a minute, how is it that we are going to mass produce people?” The answer, of course, is that I am referring to intelligent machines – not people. And by “intelligent machines” I do not mean human-level, self-aware, general-purpose intelligence. I simply mean machines capable enough to do the specific job assigned to them. I will often refer to these machines as “robots”, but I don’t want to limit the idea to the common image of machines with two legs and two arms. They will come in whatever form is best suited to the job at hand. I believe such intelligent machines are not only possible but inevitable, and I will spend time near the end of this presentation to explain why. But first I would like you to think about the idea of mass-producing skilled labor and let the consequences sink in. Consider, for example, the issue of building and maintaining the physical infrastructure in this country – the roads, bridges, power plants, etc. Everyone agrees that we have done a poor job in this area. And yet, we just can’t seem to tackle the problem. Why is that? Is there a shortage of concrete or steel or copper or any other necessary raw materials or of the energy to process them? Of course not. The problem, as usual, comes down to how we will pay for the one thing that always costs the most – labor. Labor cost is the reason that corporations chase all around the world looking for the cheapest labor - even if the raw materials have to be shipped quite a distance in order reach the labor supply. Being able to mass-produce skilled labor - whenever and wherever we need it - is a complete game changer. The resulting economy will make our current economy look like the Stone Age. But where will that leave those of us who have been the skilled and unskilled labor of the past? One answer, of course, is that the large majority of us will simply be “unemployed”. 1. We needn’t worry since automation has always created more jobs than it destroys. 2. As long as we have problems to solve we will always have jobs. 3. We will always need workers because the more we produce the more people want. But even if these statements are all true, remember - we will be mass-producing skilled labor. Creating another job opening may just lead to the employment of another machine. This means that, to be employed, a human must have skills and value that no machine can offer. But how have we been doing in our race against the machine? In 1840, nearly 70% of our work force was involved in the agriculture sector. Today that sector employs less than 2% and yet it still produces surpluses for export. Clearly, in agriculture, automation has not produced more jobs that it destroyed. Many who were no longer needed on the farm moved into the industrial sector. But, our industrial employment peaked in 1979 at 19.5 million workers. Think about that. We hit peak industrial employment 40 years ago! Today our industrial sector employs less than two thirds of that number. Some will say that is because we have sent our production overseas and don’t make anything in this country anymore. You can tell them they are wrong. Our inflation-adjusted industrial output is over twice that of 1979, and stands today at record levels. We simply don’t need all the workers we used to employ. Clearly, in industry, automation has not produced more jobs that it destroyed. So, if we are no longer needed on the farms or in the factories, where have we found work? The answer, of course, is that we moved into the services sector which now employs nearly 80% of our workers. That sector was seen as a refuge from automated machinery because it valued brains over brawn. But then the cost of computers fell dramatically and many routine service jobs have also been automated. And, as for total employment, we should not be fooled by the current relatively low unemployment rate. The more important measure - the labor force participation rate – has been trending down for years. Economic growth will always depend on creative solutions to problems. Currently, only humans provide that creativity, and I won’t claim that machines will ever completely replace us. However, machine capability will continue to increase, and, by the middle of this century, a large, and increasing, majority of us will have no effective role in economic production. Even if we offered to help out for free, we would just be in the way. 2. What will we do with our time? The answer to the first question is simple. We will do what any child of rich parents would do. We will live off our parent’s money. But how many people have rich parents? The answer to that question is also simple, “We all do.” We are all children of the society that has been built by our parents and grandparents, etc. - going back thousands of years. And that society is rich! In fact, if the output of the US economy in 2018 were evenly distributed, each man, woman and child in this country would have received over $62,000. Think about that! If we evenly distributed just 20% of that amount, we would put everyone over the official poverty level for individuals in that year. We would officially wipe out poverty overnight. And remember, our future economy will be much larger, so there will be far more than that to distribute. Of course, you can imagine the reaction. Business owners will say that distributing our GDP in that way is Socialism. My simple response to that is, “You are mistaken”. In a Socialist system the people would claim ownership of your company. We don’t want your company. You can own it and operate it in any lawful way you wish. 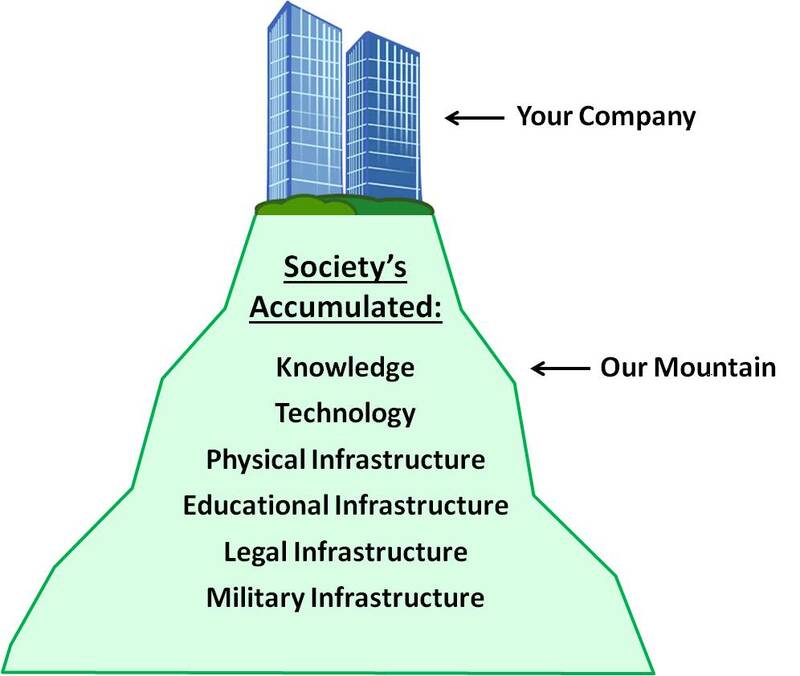 We only require that you recognize that your shiny new company - one that no longer needs our labor, by the way – was built on our mountain, and you need to pay rent. 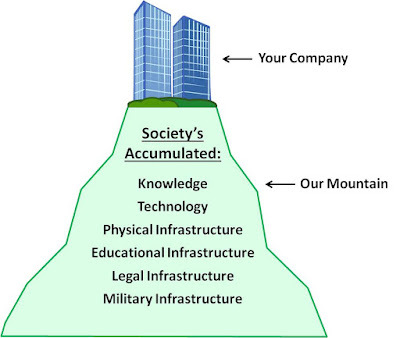 As you can see, our mountain consists of society’s accumulated physical and educational and legal infrastructure as well as the accumulated knowledge and technology that makes a highly automated economy possible in the first place. It even includes our military. After all, it is difficult to run a company if foreign troops are marching up and down Main Street. If not for that mountain, any company today would be much less prosperous or even non-existent, so it is not unreasonable to ask for rent. How much rent should we charge? Society, in its turn, must recognize that a healthy economy depends on the innovation and exceptional effort of a relatively small percentage of our population. Those innovators will not build on our mountain if we charge too much rent. Failure to recognize this simple truth is the primary reason socialist economies fail. Fortunately, our future economy will be big enough for everyone to get what they need, and for most innovators to get enough to motivate them. Some of you who remember my presentation on Universal Basic Income will have guessed where I am going with these so-called “rent” payments. Yes, a portion of those rent payments will be distributed as a Universal Basic Income (UBI) to all adult citizens regardless of income or employment status. The rest will go to building and maintaining our infrastructure mountain. Some like to call the UBI “free money for everyone”. I disagree. It is not free money. We and our predecessors have already earned it! Perhaps we should change the initials UBI to UBD (for Universal Basic Dividend) to emphasize that it is payment for society’s previous investments in infrastructure. There is an excellent TED Talk on this subject titled “How we'll earn money in a future without jobs”, by Martin Ford, the author of the book “Rise of the Robots”. We come now to the second question: What will we do with our time? So what will we do in this brave new world? If you have a job that you love, and it is still available to you, then just continue what you are doing and the UBI will supplement your income. If you have a passion that you could not previously indulge, you are now free to follow your heart. If you have a family or want to start one, you now are free to spend as much time with them as you wish. If parents are at home with their children, then gang membership and juvenile misbehavior should decline significantly. With each adult receiving a UBI, there should be an increased feeling of belonging to a larger community. Crimes due to a feeling of alienation or economic despair should be noticeably reduced. In addition, an individual will no longer need to enter into an undesirable relationship simply because they need the financial support of another person. The UBI will provide the freedom to choose the people with whom we associate. Maybe what you want to do is travel the world, or play golf seven days a week, or ride every rollercoaster in the country. Whatever your choice - knock yourself out! Or simply consider the example of The Villages. With over 3000 clubs, 600 holes of golf and nightly entertainment, if you are bored you just aren’t trying very hard. In today’s world we can’t imagine everyone being rich. After all, someone has to do the actual work. We can’t all just expect to be waited on. But with unlimited non-human labor, exactly that situation is possible. For the first time in human history we can live a life free from drudgery without having to rely on the labor of others less fortunate than ourselves. Now, before I explain why I believe it will be possible to mass produce skilled labor, I would like to spend a little more time describing specific ways that that unlimited labor will change our future. I consider this subject to be one of the most fun to speculate on because there is so much room for improvement. 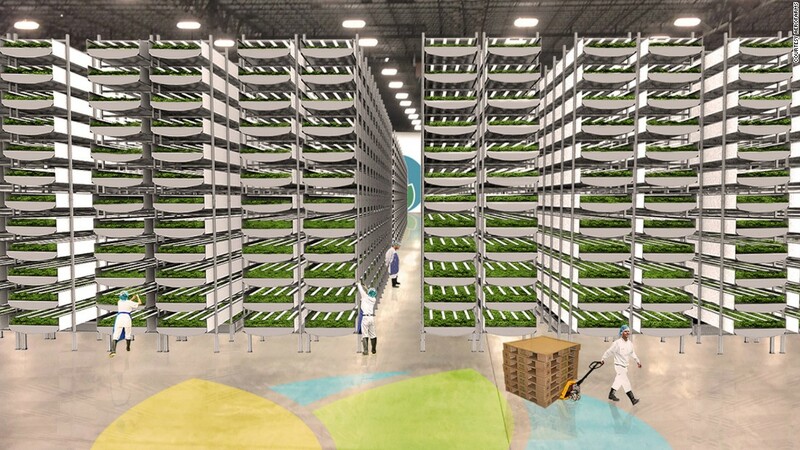 Imagine a future in which all but the most land-intensive crops are grown indoors. And, by indoors, I don’t mean in one story greenhouses with the sun shining through a glass roof. Instead, imagine a high rise building at least one acre in size at its base and several hundred feet tall. 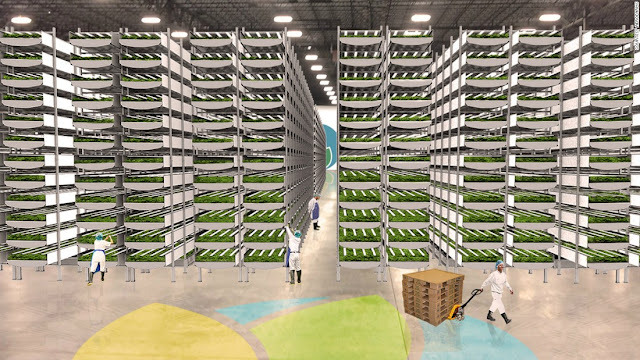 Inside are plants growing in trays that are stacked vertically so that a building one acre at its base will house hundreds of acres of plants. They are receiving all the nutrients they need and nothing more. No pesticides or herbicides are needed since all plants are inside and not exposed to pests, weeds, fungus, or any other contaminants. Gone are e-coli contaminations from nearby animal farms. Gone are exposures to heavy metals found in natural soils. Gone is exposure to dust and dirt blowing in from heaven knows where. And, if any contamination should occur, for any reason, the contaminated area can be easily identified and sterilized. In summary - agriculture as pure as it can be. No longer will farmers need to worry about poor (or changing) climates, bad weather, water shortages, limited growing season or contamination. Every crop should be a success. Each tray of plants will be illuminated by LED lights that emit just the colors needed for optimal growth. Using only the needed colors will save on energy and heat removal costs. 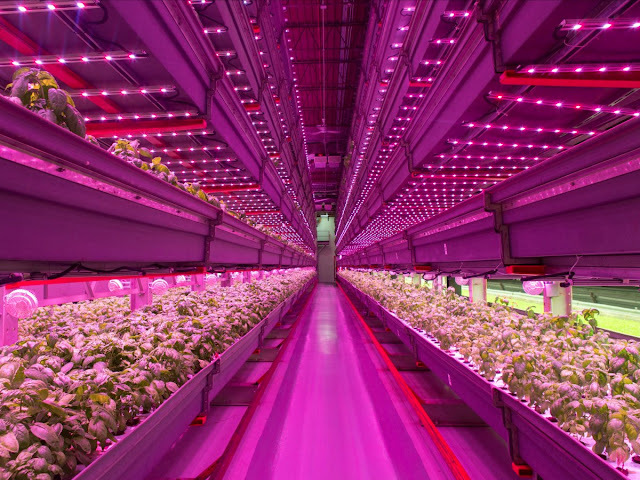 In fact, current indoor farms are often referred to as “pinkhouses” rather than “greenhouses” because they use a combination of red and blue LED lights. No water will be lost to evaporation since humidity will be recycled. The only water leaving the building will be in the harvested crops. Water usage will, therefore, we reduced by over 90% compared to outdoor farming. Fertilizer-contaminated outdoor runoff and all of its consequences, such as red tide and algae blooms will be a thing of the past. Of course, the care of indoor crops will be very labor intensive. But remember, we will have unlimited skilled labor. Imagine tiny machines giving round-the-clock attention to every plant. In fact, the absence of human workers means that more space can be devoted to plants. And since plants thrive on carbon dioxide, more of it can be added to the indoor atmosphere without concern for whether humans can tolerate it. With conditions optimized for each plant variety, we can expect many more crops per year, and the output per acre will be unprecedented. Indoor agriculture also means that crops can be grown in the city where 70% of the people are expected to live by the year 2050. This will substantially lower shipping costs, and means that crops can be harvested at peak ripeness rather than harvesting early and hoping the crop is ripe when it reaches the consumer. This will give new meaning to the phrase “fresh to your table”. In addition to Agriculture I will briefly touch on these other aspects of our future. I just mentioned the advantages of indoor agriculture, but as our economy grows so will the amount of trash it produces. How will we keep from being buried by that trash? Imagine large recycling complexes near every population center. In each complex there will be thousands of machines capable of sorting your trash into any number of categories, even down to pieces the size of a dime. Such machines will be capable of disassembling manufactured items so the parts can be further sorted. The recovered material will be processed for reuse or for environmentally safe disposal. Today such sorting and processing is not feasible due to the cost of labor. But remember, well before the end of this century we will be mass-producing skilled labor. Of course, a larger economy will require more energy. We all hope that renewable sources will continue to fall in price and eventually provide a meaningful percentage of our energy needs. However, even in a world with unlimited skilled labor, there is no guarantee that will happen. If it does not, then I would like to mention one of my favorite carbon-free alternatives – nuclear power. If, by the end of this century, we are finally able to build practical fusion reactors, then the problem of power and safety is solved. However, if that does not happen, then I believe our best hope lies in new designs for conventional nuclear power plants. The reason those plants have not been emphasized in recent years is due to two factors: Safety and Cost. And adding safety measures is one of the primary reasons for cost increases. But remember, in a world of unlimited skilled labor, the cost equation will be completely different. The same technology that makes intelligent machines possible will also make it possible to know where everyone of us is at all times. Such surveillance can be valuable in preventing and solving crimes, and in providing assistance to those in need. However, that same technology can bring about George Orwell’s “1984”. Stories are already coming out of China about how surveillance is restricting the rights of individual citizens. We must, therefore, be very aware that our right to go where we wish and meet with whom we wish is protected by law, not by our ability to sneak around in the shadows to avoid detection. At some point there will simply be no more shadows to conceal us. Therefore, we must very jealously guard our legal protections to maintain our rights and freedoms. Yes, the services sector – where do we even begin? Imagine a trip to your favorite restaurant. You call for a self-driving vehicle which picks you up at home and drops you off in front of the restaurant and then disappears to serve its next customer. You won’t see it again since a different vehicle will take you home – and, of course, no parking problems. In fact, parking lots no longer exist. You order a steak dinner which is prepared exactly as you like it since your preferences are already known to the computer in charge of the kitchen. The robot preparing your steak monitors its preparation many times per second so that it appears on your plate at exactly the right moment and simultaneously with all of your side items. The same is true for the food for everyone in your party. One or more mobile machines then emerge from the kitchen to serve all of you at the same time. Exotic and labor intensive food items and desserts are no problem since the kitchen has a pantry full of spare machines that will spring to action depending on demand. Or imagine your home needs maintenance or remodeling. Just instruct one or more of your household robots to download the latest plumber, electrician or carpenter software and get to work. Speculating on the kind of society that we can create with unlimited skilled labor can be a lot of fun, and we have only scratched the surface, but time is limited and I did promise to at least attempt to answer a fundamental question. Will we really be able to mass-produce skilled labor? Once again Labor = Intelligence + Manipulators. How are we doing on developing the manipulators? Here is a video from 4 years ago showing some of the entrants in a DARPA competition that was held to encourage progress in robotics. As you can see, significant progress has been made in the ability to control robots on the mechanical level. But the improvements in machine intelligence are even more impressive. 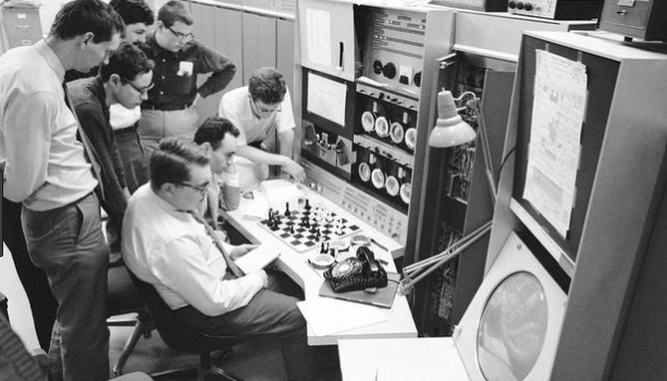 This picture shows an attempt in the 1960s to program a computer to play chess. Optimism was high, and many believed that within ten years we would have computers as smart as humans. It would just be a matter of writing some code. I was in college at that time and was fascinated by computers so I decided to major in Computer Science and be a part of that effort. Well, it didn’t quite work out according to plan. A lot of code was written, but the result was nowhere close to human intelligence. Other researchers tried to emulate what we knew of the human brain by building networks of artificial neurons. But there, too, the results were disappointing. It turned out that creating a smart machine was much more difficult than we realized. The entire field of Artificial Intelligence (aka AI) fell on hard times – a period that has come to be known as the AI Winter. As for me, I never did find work in AI and spent my career doing other work in the computer industry. ( https://www.thestar.com/news/world/2015/04/17/how-a-toronto-professors-research-revolutionized-artificial-intelligence.html ) from the Toronto Star. 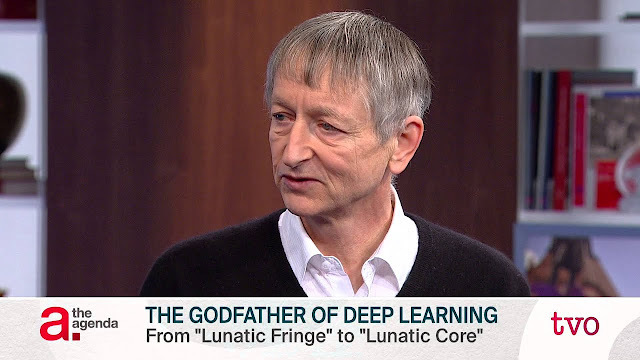 And it was announced recently that Professor Hinton and two long-time associates have won this year’s Turing Award for their work in Deep Learning. Because of Deep Learning, conventional speech and photo recognition systems that had been tweaked and improved for decades were swept aside essentially overnight. Deep Learning is responsible for the performance of the Siri and Alexa devices that some of you have at home, and for recent advances in self-driving vehicles. 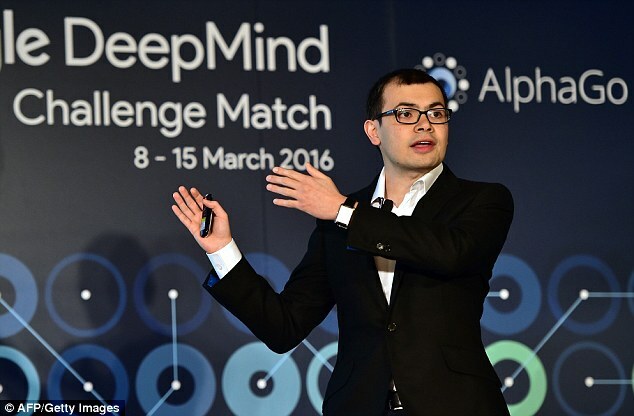 These developments were noticed by a young British genius named Demis Hassabis, who would co-found a company called DeepMind that would be acquired by Google in 2014. DeepMind would explode into the news when they trained a computer to play the game of Go. Notice, I say they “trained” the computer rather than “programmed” it. 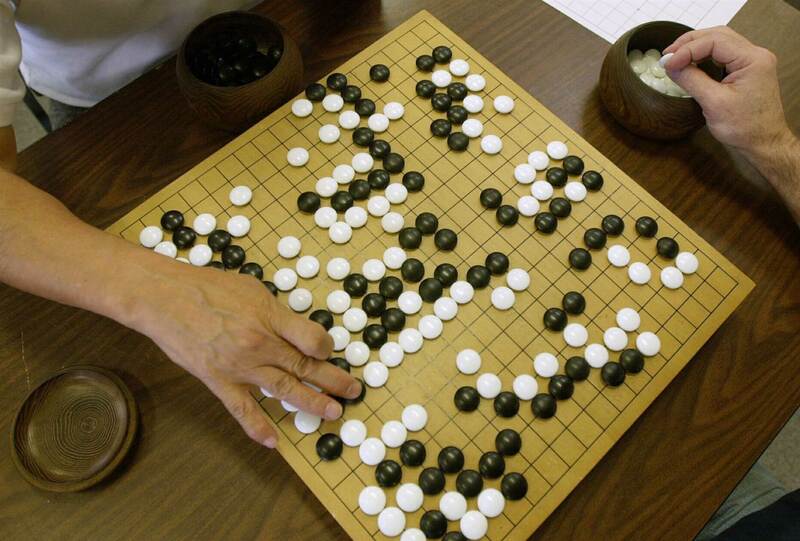 Go is an ancient Chinese game that many consider to be vastly more complicated than chess. That complexity has foiled efforts to program a computer to play Go. When programmers would ask Go players how they chose their moves the typical response was that, after many years of play, they had just developed a feel for where to make their next move. The programmers’ response was, “That’s no help. How in the world are we going to program a feel for the game?” But it turns out that that is exactly what results when a Deep Learning system is trained. It simply develops a “feel” for the training data. In the case of DeepMind’s Go playing system called AlphaGo, the training data was thousands of games previously played by humans. The result, as you may have heard, was that in early 2016, AlphaGo beat the world’s highest rated Go player, in a 5-game match by the score of 4 to 1. Here is a picture of Lee Sedol winning that one game against AlphaGo. But the DeepMind team didn’t stop there. They wondered what would happen if they trained a system that started as a complete beginner - knowing nothing but the rules, and only training by playing against itself - with no access to human games. 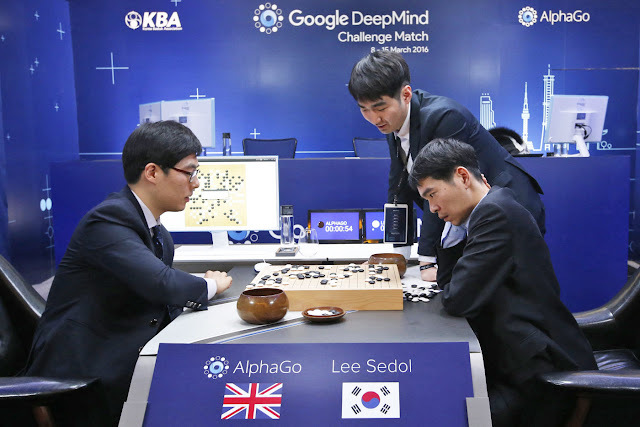 The result was a system they called AlphaGo Zero which then played a 100 game match against the system (AlphaGo) that beat Lee Sedol and won by a score of 100 to nothing. The lesson from that match was that training on games previously played by humans was actually a disadvantage. AlphaGo Zero trained only by playing against itself and thereby avoided learning the misconceptions and errors that have apparently been present in human games for centuries. has less than a 2% chance of beating it in any given game. But after just 9 hours of training, DeepMind’s system had progressed from complete novice to decisively beating Stockfish in a 100-game match. And the DeepMind system was looking at hundreds of times fewer game positions than Stockfish. It managed to win because it had developed a superior feel for the positions it did evaluate. So, if you should ever wonder how it might feel when the Singularity arrives, consider how conventional chess programmers felt when 60 years of their cumulative effort were made obsolete in just 9 hours. I could go on with many more examples, but I will just say that such results have captured the attention of essentially all leading tech companies, and long suffering AI researchers are being sought after and paid like rock stars. The results that I have described, and others, are why I believe that skilled non-human labor will be common well before the end of this century. I, for one, am looking forward to that future. Hella Bloch, born in Germany in 1925, passed away this month. She was a friend at Freedom Pointe Independent Living where Vi and I have lived for the past seven years. Her published obituary does not mention the harrowing story she told me about how she survived WWII in Berlin Germany while identified as a "Jew"! Hella told me that her father had made the "mistake" of admitting to the NAZI authorities that one of his grandparents had been Jewish. As a result, Hella had a big red "J" stamped on her identity documents, and she had to wear the yellow "Jude" star, see images below. "J" (for "Jew") on Hella's NAZI passport. Her "Jude" yellow star. In addition to the "J", all Jewish women were given the middle name "Sara". at Freedom Pointe Independent Living! Hella K. Bloch (nee Leyser) passed away Tuesday, December 11, 2018 at Freedom Point, The Villages, FL. She was the wife of the late Michael Bloch who passed July 2, 1989. Hella was born in Berlin, Germany, the only child of the late Hertha and Felix Leyser. She married Michael (Heinrich-Ernst) Bloch on October 16, 1948 at St. Ludwig Catholic Church in Berlin, Germany. Being survivors of the Holocaust, Hella and Michael left Berlin on July 20, 1949, seeking a new home in the United States. They arrived August 7, 1949 aboard the “General SS McRae”. They became proud citizens of the USA in 1954. They lived in New York City until 1957 when they moved to Yonkers, NY. After years of working in many different capacities, several different industries, Hella began a Real Estate career in 1961. First as a Sales-Agent, and then as a Broker since 1965. In 1967 Hella founded a Nursing Home Auxiliary (S.A.Y.). Its members would visit residents of a local nursing home. For most of those years Hella was the President of S.A.Y. Hella was a Den Mother of Den #1, Troop 29 Yonkers, NY and a constant supporter and volunteer of the Boy Scout movement. She will be deeply missed by her sons, Ronald M. Bloch and his wife Mary Ellen of The Villages, FL and Rene M. Bloch and his wife, Kim of Delray Beach, FL and daughter, Yvonne K. Bloch-Lugo and her husband Eugene Lugo of Millsboro, DE. She has 7 grandchildren and 5 great grandchildren. Enjoy this holiday and the religious freedom it celebrates. 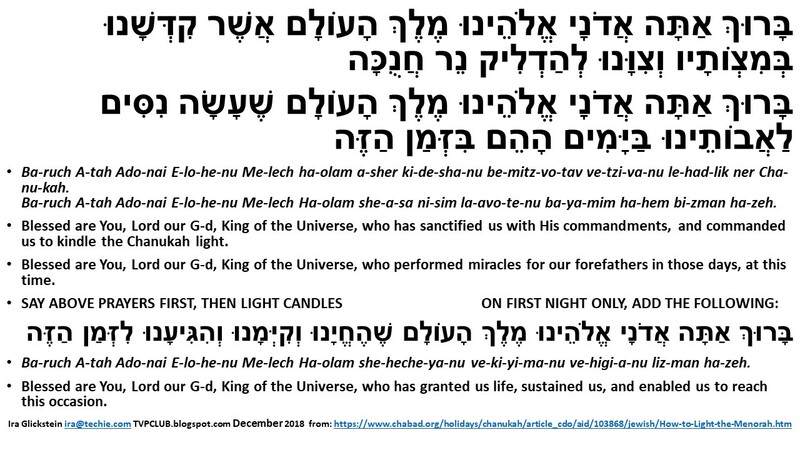 PS: As you may know, I am particular on how we should transliterate the Hebrew "חֲנֻכָּה" to the English "CHANUKAH". "Put CHRIST back in Christmas and the "CH" back in Chanukah!" 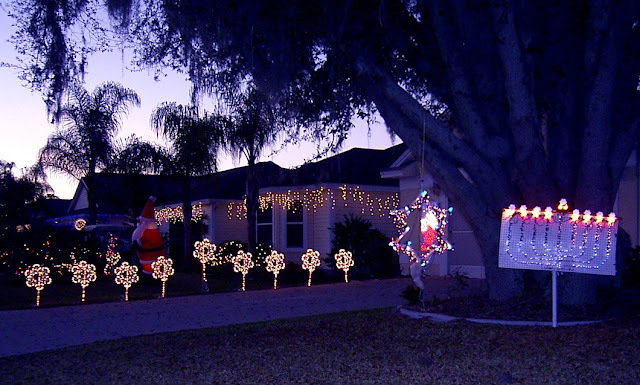 My Chanukah lights, in the photo above, are a small minority among the Christmas lights that dominate the streets here in The Villages, Florida. A couple evenings ago our bicycle club staged our annual Christmas decoration night ride. Our headlights and taillights twinkled among the holiday lights as we "ooed" and "ahed" at some of the most extensive and colorful and artistic displays. Last evening a bunch of us from the neighborhood did a similar tour in our golf carts. Each event was followed by a party with food and drink and merry music. 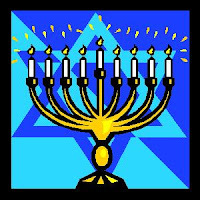 Chanukah, the Jewish "Festival of Lights" celebrating a great victory for religious freedom in the second century BC, comes early this year. This evening we had the pleasure of enjoying the lighting of the first candle with our triplet grand-daughters. Of course we ate traditional latkes (potato pancakes). Our grandchildren's Rabbi is anything but traditional. Not only is she a woman, but a woman married to a woman! Definitely not my grandfather's kind of Rabbi, but she is wonderful! We hope everyone enjoys the winter holiday season with friends and family. Chanukah is not an "important" Jewish holiday as it celebrates an event that occurred after the Hebrew Bible was completed. However, in modern times, in competition with Christmas, Chanukah has assumed major proportions. I think it is fair to say that both Christmas and Chanukah really co-opt the Roman "Saturnalia" (http://en.wikipedia.org/wiki/Saturnalia . 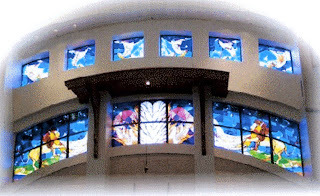 That winter holiday is based on the Greek "rebirth of the Sun" (http://en.wikipedia.org/wiki/Winter_solstice). The ancients noticed that the Sun rose lower and lower as November and December wore on. There was a danger, if the trend continued, the Sun would not rise at all, and everyone would freeze. So, around the winter solstice, when the Sun begins to rise higher and higher, everybody lighted candles and were thankful the Sun was reborn. Today is the first day of CHANUKAH. At sundown last evening, Jews around the world lit the first candle to begin our celebration of a great victory for religious freedom. As you probably know, we light an additional candle every evening for a total of eight days of celebration. This year, both CHRISTMAS Day and the first day of CHANUKAH are on the 25th of December. The start of CHANUKAH moves around with respect to CHRISTMAS by up to 19 days because it is based on the Lunar, rather than the Solar calendar. 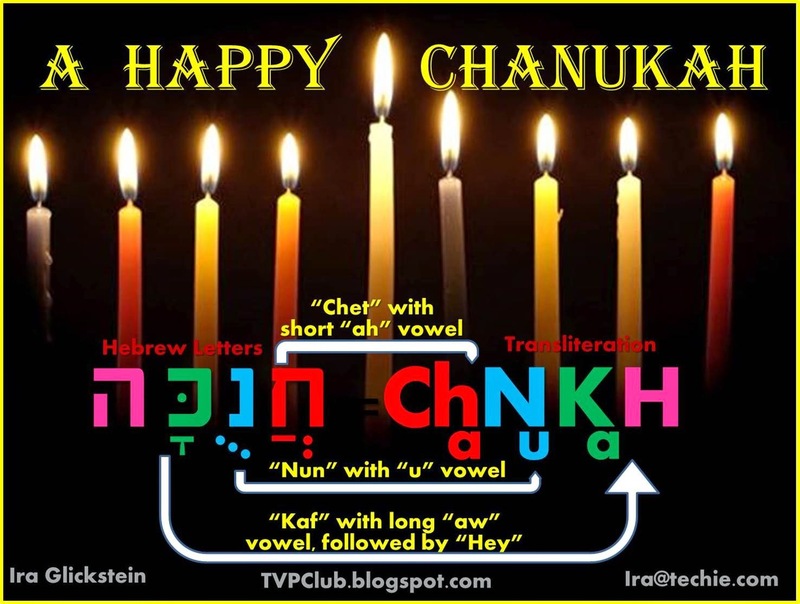 As the above graphic illustrates, I follow the Hebrew pronunciation and spelling to convert the name of our beautiful holiday to "CHANUKAH", in contrast to the ugly way most of the media spell it, "HANUKKAH", or "HANNUKKAH". Why the double "KK"? Or "HANNUKAH". Why the double "NN"? How would a native English speaker pronounce the ugly "HANUKKAH"? 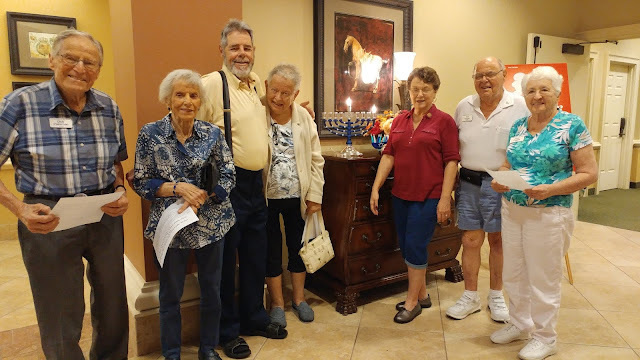 On 23 December 2014 we light the final Chanukah candles to celebrate a great victory for religious freedom that occurred some 22 centuries ago. 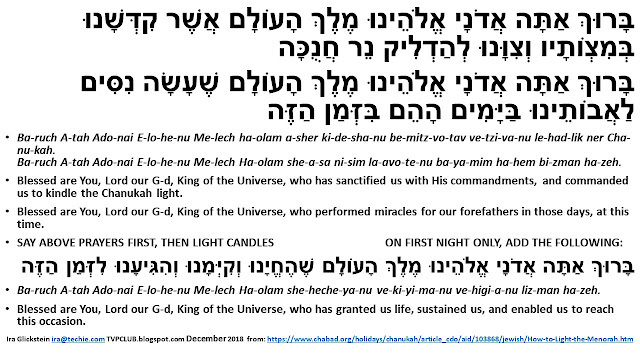 As I wish a very Happy Chanukah to all, I beg you to indulge me for a relatively minor complaint, namely, how some people mispronounce the name of our holiday and how it is, IMHO, misspelled by the major media! Too many people (including some in my Jewish congregation who should know better) say "Hanaka" as if it is "Canada" in disguise, with an "H" for a "C" and a "k" for a "d"! And, if that isn't bad enough, the media and Wikipedia (and sometimes even the newsletter of my Jewish congregation) spell it with an "H" at the beginning and a double "kk" in the middle, which, if you know anything about the Hebrew spelling, makes no sense at all. In Hebrew, the name of our holiday is written with vowel points as "חֲנֻכָּה" (or as "חנוכה" without vowel points). As my graphic above demonstrates, the first letter "חֲ" is the Hebrew Chet, which is a back-of-the-throat guttural sound (like the "ch" in the Scottish "loch") that has no directly equivalent English letter representation. There have been efforts to represent that sound as "Kh" (which I find ugly) or "Ḥ" (a dot or line under the letter "H"), but, why not stick with what, until the past decade or so, has been traditional, "Ch"? The vowel points under the letter stand for the short "ah" sound. The second letter "נֻ" is the Hebrew Nun, which sounds like the English "n". The vowel points beneath it are sounded like the English "u" (or the "oo" in "too"). The third letter "כָּ" is the Hebrew Kaf, which sounds like the English "k". (Please note there is only ONE "כָּ", so there is no basis for the double "kk" misused by the media nowadays. )The vowel points under it are sounded like the English long "aw" in the traditional Ashkenazim pronunciation my wife and I learned as children, or "ah" in the Sephardi pronunciation that was adopted by the time our daughters went to Hebrew school. The final letter "ה" is the Hebrew Hey, which sounds like the English "h". Put them all together and you get Chanukah! This past Sunday our Jewish congregation hosted a ceremonial lighting of the large Chanukah Menorah in the Spanish Springs Town Square in The Villages, FL. Despite some scattered showers, we had a huge turnout and a good time was had by all. The Chanukah spelling conflict is nicely illustrated in the songbook we prepared for the occasion, where "Chanukah" appears some 27 times, and the "kk" version appears only 10 times! >>>"2052 - The Hawking Plan""2052 - The Hawking Plan" (Free online Novel) Amore, amorality and Stephanie Goldenrod's mission to save civilization for an infinite future. 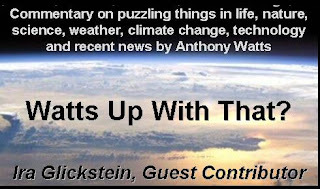 >>> Climate Science I'm a Guest Contributor to the World's Most Popular Climate Website, Watts Up With That? Earth Day 2010 = Gaia Optimizing Deity? Sunspots - Prediction of New "Dalton Minimum"
The TED Talks: "Memes" and "Temes"
My Guest Postings on Watts Up With That? QR Code - Scan Me! DILBERT is the story of Ira's life! Click here for Ira's postings on the world's most viewed climate change website! There is historical evidence that decades of low sunspot activity have coincided with periods of unusually cool global climates. We may be entering such a period. Click Sunspot Postings for Ira's speculations on this critical topic. Latest NOAA Sunspot Graph. Actual in Black, Smoothed Actual in Blue, NOAA Prediction in Red. Description: This is Ira Glickstein's personal blog. However, you may join the list of Authorized Authors who may post Comments and new Topics. Sunspot Cycle #23 was supposed to end early in 2007 but it did not hit bottom till 2009. Actual Smoothed counts for last part of #23 and first part of #24 are in Blue in the above graph. Latest NOAA prediction is in Red. In 2006, NASA/NOAA predicted the peak to be between 180 and 156, expected to occur in early-2012. Latest predictions: NOAA says 90, NASA (Hathaway) says 59. In early 2009, when NASA was predicting 104 to occur in 2012, Ira predicted #24 to peak at 80 in July 2013. Ira's latest prediction, in late 2010, is a peak of 60. Low counts are good news. If they continue for several cycles, we may be in for a few decades of global temperature stabilization or even a bit of cooling. That will give us some time to solve the issue of rapidly rising carbon gasses that contribute to warming. Click for a NASA movie of recent Solar images (Dates & times displayed lower left). Widget Below Shows How CO2 continues to Rise Rapidly, But Global Temperatures have Stabilized. Where have all the sunspots go-ne? NASA don't know. Where have all the sunspots gone? Global Cooling, anyone? Will NASA ever learn? Will NA-SA ev-er learn? Where has all the carbon go-ne? Come down as snow! Where has Global Warming go-ne? Its gonna slow. STORMY WEATHER? See latest animated Pacific and Atlantic Satellite images to help track tropical storms and hurricanes. Click Pacific Satellite and Atlantic Satellite. Express your opinions forcefully. Collegial cross-discussion is encouraged. Use logical, fact-based arguments. Stick to the subject of the main topic. No political or religious diatribes. No personal attacks on others. No chain letters. LURKER - Anyone with web access may read this Blog. COMMENTER - Anyone with a Google account may post a Comment to any existing Topic thread. Unless you are an Author (see below) your Comment will not appear on the Blog for a day or two until I approve it. 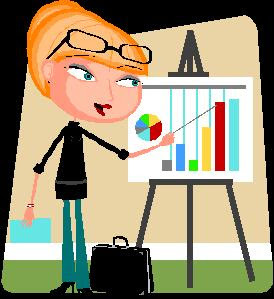 New Topics should be carefully written, as if you were planning to give them as a presentation at a club meeting. Please sign Topics with your full name. NOTE: This Blog is not officially associated with the Philosophy Club of The Villages, FL. However, current and former members of that organization are invited to participate. My brother and I are members of the "cult" that enjoys Curb Your Enthusiasm, the HBO comedy series about to enter its seventh season. WHY DID I CREATE THE BLOG? Some years ago, while asembling a wooden cabinet, I had a disastrous experience. I got too cocky and made a mistake that caused the partially-built cabinet to collapse "like a house of cards". It was deeply disturbing at the time, but is hilarious in retrospect. That experience inspired me to write a story concept where Larry David, who portrays himself in Curb as a clutz when it comes to manual skills, is shamed into tackling a do-it-yourself project. In my story idea he, in his inept way, ends up doing a better job than an expert cabinet maker. Since Larry David does not accept story ideas from the general public, my story outline has mouldered away on a computer disk in my closet somewhere. After a visit by my brother reignited my passion for Curb, I decided to resurrect the story idea and "free" it on the Internet. Football fans play "Fantasy Football", so why can't sitcom fans play "Fantasy Episodes" of their favorite series? I've started a Blog Curb Your Enthusiasm - Fantasy Episodes. Read the Welcome posting and the first Fantasy Episode DIY Larry. Here are some short highlight clips of past seasons of Curb and a tickler for the seventh season as well as a trailer for a Woody Allen movie staring Larry David. 2052 - The Hawking Plan is Ira's free online novel. Please read it and pass it on! Stephanie Goldenrod strives to save human life and civilization for an infinite future. Amorality, amore and deep ethical and philosophical issues. 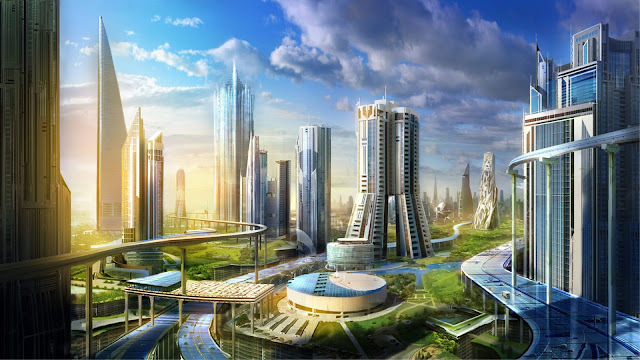 What will life, liberty and technology be like several decades in the future? Click here for PREDICTIONS - How technology will affect life and liberty in future decades. Want the latest version of the novel as a .pdf file? Want a professionally printed and bound copy? http://www.lulu.com/spotlight/queenbeebooks. 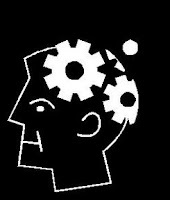 Bayesian AI Advisor Bayes Theorem has practical applications. Use it to make real world decisions. A relatively simple Excel-based tool helps you choose the right course of action in the face of uncertain probabilities and inexact test results. It is available for FREE. 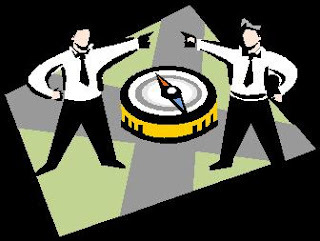 Decision Aiding Tool - Do a Trade Study Choose the Best out of a set of attractive Alternatives. Buying a house, car, pet or PC; choosing a course of action at work? Here is how to get everyone involved and make a rational choice. A relatively simple and FREE Excel-based tool helps you make the right decision, including decisions in the face of uncertainty! Aristotle's Physics - The Four Causes How would Aristotle have used computer graphics to depict his ideas about the Four Causes (Material, Formal, Efficient, and Final)? Written ca. 350 BC, his ideas appear primitive by our 21st Century standards but they capture the wisdom of the ages. The plain text is inadequate for modern understanding - graphics explain his concepts more clearly to a contemporary audience. Aristotle's Physics - The Five Elements Powerpoint charts Aristotle might have drawn explaining the Five Elements (Aether, Air, Fire, Water, and Earth). Nash Bargain Advisor. John Nash won the 1994 Nobel in Economics for his work on what came to be known as "Nash Equilibrium", where two or more competing entities "cooperate" (without illegally colluding) to reach a "Nash Bargain". The book and movie "A Beautiful Mind" dramatized Nash's life story and work. A relatively simple Excel-based tool helps you calculate a Nash Bargain in a competitive situation. It is available for FREE. Guardians at the Gates - Freedom of the Press!!! What role should "the authorities" have in restricting access to the press? Topics related to the impact of new technology making publication via Internet and Print on Demand less expensive and more open to ordinary people, bypassing traditional professional review. 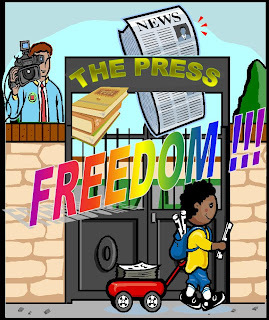 Click for 1-Guardians at the Gate are GONE - Freedom of the Press !! !, 2-Authority vs Reason, 3-Accretion of Power, 4-Another Bit of Knowledge. A series of Topics and Comments on the Liberal Mind (L-Mind) or Conservative Mind (C-Mind) we observe in many of our fellow human beings. Click for: 1 - Fallibility, 2 - More on..., 3 - Origin of..., 4 - Plato and Aristotle..., 5 - Even More on ...,6 - L/C Persistence, 7 - Still More on, 8 - L/C Presentation, 9 - Back to L/C Basics, 10 - L/C Mental Health, 11 - Voting and Notions of Fairness, 12 - L/C Good Vibes vs Good Deeds, 13 - Lessons from Tuskegee Experiment, 14 - Haidt's Paper: What the Democrats Don't Get, 15 - Carbon Tax a Loser (Too Bad), 16 - L/C Minds and Temper, 17 - Vi and Ira: L/C Minds on AP Video, 18 - Haidt's TED Talk: L/C Five Channels of Morality. A series of Topics about the possibility of human creation of something like "life" and "intelligence" using non-organic materials, such as advanced digital computers. Click for 1- Loose Language, 2- Emulation vs Simulation 3- Anthropomorphism and AI. All about the abuse of anecdotal math to falsify the truth and truthify falsehood. Click for 1-Going to St. Ives, 2-Playing Percentages, 3-Correlation and Causation, 4-Fun with the Normal Curve, 5-Global Warming, 6-Health Care Costs. A series of Topics initiated by CNN's "God's Warriors" series that took a tangent into causality and determinism. Click for 1- "God's Warriors", 2- Causal Determinism 3- Back to Basics of Causality. A series of Topics related to traditional religion as compared to other systems of ethics and morality. This includes the affect of traditional religion on politics, comparison of atheism, theism, deism, pantheism and various organized religious denominations, etc. .
Click for 1- Morality and Neuroscience, 2- What Athiests Kant Refute 3- Religion and Politics. . 4- What is Abraham's Seed? 5- god is not Great. 6- Magical Technology and the Supernatural. 7- TED talks, Is there a God?. 8- Christmas, Santa, and the Spirit of Giving. 9- Rationality. 10- The Scientific Inquisition. 11- "Runaway Trolley" Moral Problem. 12- "The God Delusion".